Commissioning a portrait is a very personal experience and one which Peter also makes interesting and enjoyable. After making contact, Peter will arrange a suitable time to discuss the full painting process with you. This will include the type and size of painting you would like to commission, the sitting, timings, delivery of the finished painting and framing. At this stage, Peter will be able to inform you of the tailored price which will be dependent upon size, the number of sitters and content. Sittings are arranged at a convenient time and place for both parties and usually run for about 2 hours at the sitter’s home, place of work or Peter's studio. During the sitting Peter will get to know the sitter whilst making numerous sketches and taking photographs. He will then take all of these references back to his studio where he will create the painting. In most cases this will be the only sitting required although a short second sitting may need to be arranged. 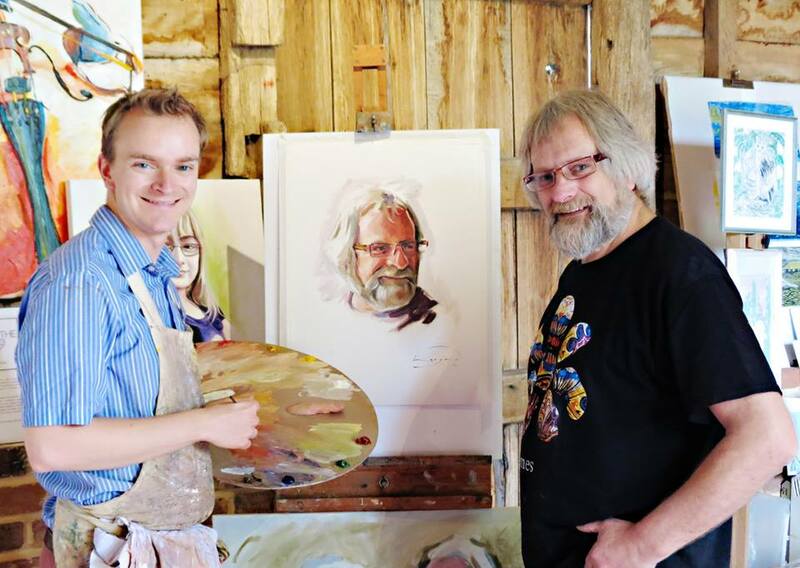 Both the sitter and commissioner are invited to view the portrait at it's half-way stage at Peter's studio to provide any feedback and to see the painting's progress - this can be done via email if you are unable to visit the studio personally. The painting will take approximately three to four months to be completed which includes drying time, framing and delivery. If required, portraits can sometimes be delivered to a shorter deadline by prior arrangement. Prices vary according to the type of commission, number of sitters, size, detail etc but as a guide a head-and-shoulders portrait starts from £600.00, and a charcoal head-and-shoulders drawing starts from £250.00. For more information on commissioning your own personal portrait, please contact Peter directly. Peter is also available to undertake specific landscape commissions. Peter can paint a specific scene that you have in mind, whether its a view from your home, an image you've taken yourself or have found elsewhere.